Dharsha is an experienced Neurological Physiotherapist. She is our Team Leader for Neurosciences, and Clinical Stream Leader for all of our Neurology services. Dharsha brings a wealth of experience across all areas of hospital physiotherapy, in addition to her specialty skills in Neurology. She has a special interest in Functional Neurological Disorders, Parkinson’s Disease, rehabilitation following Stroke, vestibular disorders and physiotherapy treatment of demyelinating conditions such as multiple sclerosis, Guillain–Barré syndrome (GBS) and others. 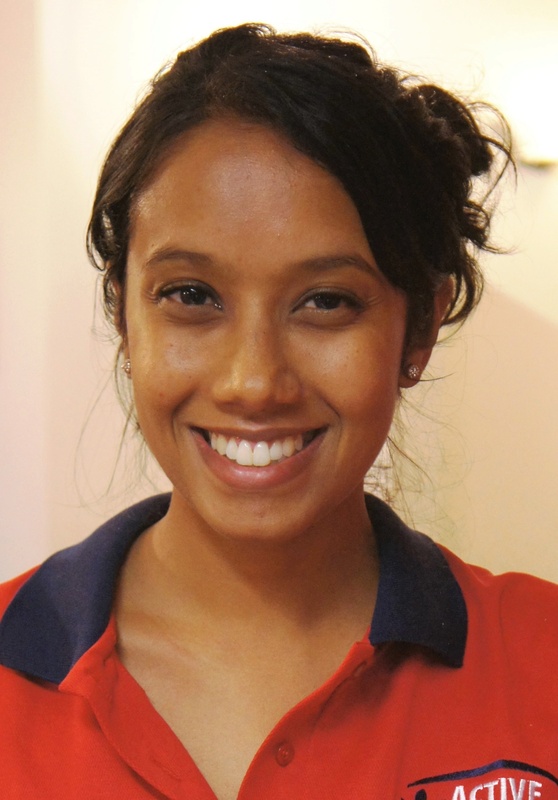 Dharsha graduated with a Bachelor of Physiotherapy from the University of Queensland. Dharsha has extensive experience in inpatient physiotherapy services, gained through her work here in Australia and in the United Kingdom. Dharsha also holds a Masters in Rehabilitation (Neurological Physiotherapy) from Australian Catholic University. In 2011, Dharsha travelled with the Australian Women’s Handball team, as one of the team Physiotherapists to New Zealand, for the Oceania Qualifier and then to Brazil for the 2011 Championships. In her spare time Dharsha enjoys spending time with her friends, family and of course planning her next travel adventure!